When I grow up I want to hunt a spring turkey season like Mr Dave Owens. Congrats Dave on an awesome year. Topic: Treerooster - Work It! Re: Treerooster - Work It! Good job Gary. I've noticed over the years that guys that are motivated to get better for whatever reason do really well. As long as they don't over do it and dislocate it. I will never get back that 25 seconds. Good to meet you Shooter. Nashville is always crazy in a fun way. Best place to be unless your back is against a tree and a turkey is gobbling. Ricky was in full force in Nashville. He and Doug were causing all kinds of problems. Good to see you 2 again. You want me to send you a couple mouth calls just in case you don't find yours? You need some practicing you know. Always love your pictures Hobbes. Topic: What in the world is with this Weather??? Re: What in the world is with this Weather??? 30 degrees here this morning. Frost on the ground. Went and heard a few turkeys gobble this morning but no video. I can gobble and purr on a trumpet and wingbone but neither sound like a real turkey. I can make some good gobbler yelps on my X-Terminator mouth call. I had 9 longbeards within 4 steps of me today. There is not a man alive that would have guessed the yelps coming from some of them would have been a gobbler. I would pay to see her choke out Mayweather. Topic: A CLASSIC at The Roost! Re: A CLASSIC at The Roost! What a tease. So good so far. Sounds like fun. This is a new pot call I am coming out with this spring. 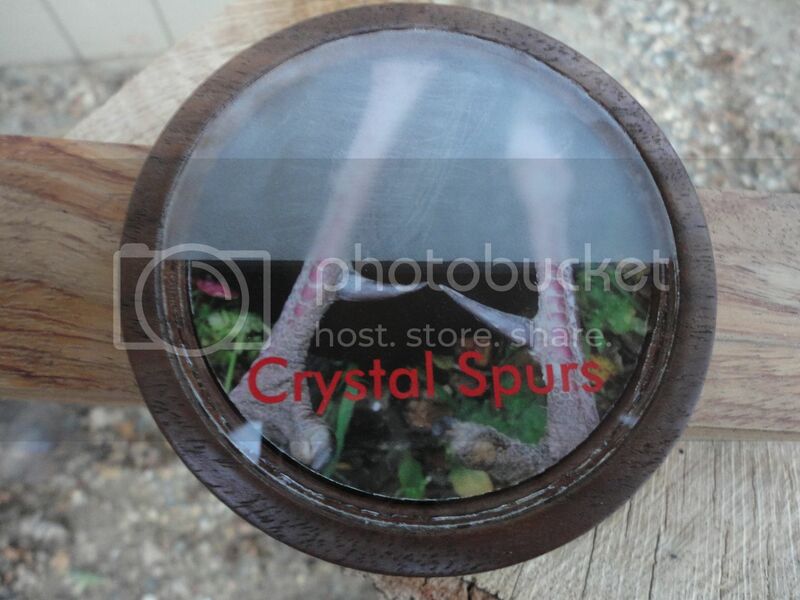 It's a 3 1/4" Crystal over slate in a walnut pot using a dymondwood striker. Thats awesome Hobbes. Congrats on the Bull. I don't have many fall hunting pics but I have a fall turkey hunt video. Me to Hal. Don't get me wrong I still love the spring woods and that thunder gobble.